The original gatefold sleeve was infamous for the inside photo that shows the band cuddled up to naked women who are intended to represent the ladies of the night from the street of the album's title 'Toulouse Street' (New Orleans’ French Quarter). 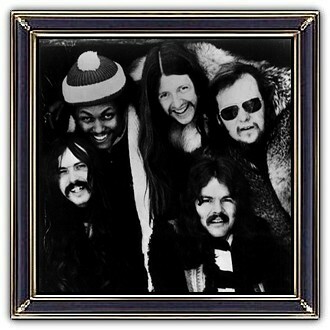 The Doobie Brothers are an American rock band. 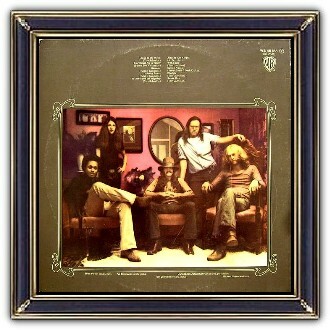 The band evolved from a mellow, post-hippie boogie band to a slick, soul-inflected pop band by the end of the decade. The band has been active in five decades, with their biggest success occurring in the 1970s. 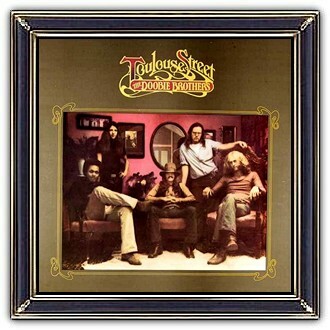 Their second album, Toulouse Street (which spawned the hits and classic rock staples, Listen to the Music, and Jesus Is Just Alright), brought the band their breakthrough success after its release in July 1972. The group was inducted into the Vocal Group Hall of Fame in 2004 and have sold more than 40 million albums worldwide throughout their career.